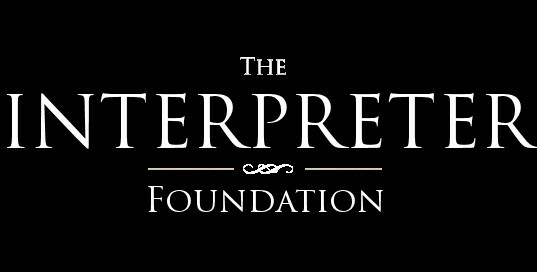 The Interpreter Foundation is a nonprofit organization. All journal publications and video presentations are available for free by digital download and streaming. The price of hard copy versions of journal articles covers only the cost of printing; books are typically priced to help cover both upfront pre-publication expenses and royalties to authors when applicable. In some cases, the Foundation may subsidize publication costs to keep retail prices affordable. The Foundation does not profit from sales of its publications. However, we do have a number of expenses associated with the preparation of this publication—editorial services, typesetting, web servers, web design, etc. If our fundraising is sufficiently successful, we hope also to publish books, sponsor symposia, and produce videos. In a communication dated 24 January 2014, the Internal Revenue Service of the United States has determined the Foundation to be a “public charity” that is exempt from Federal income tax under section 501(c)(3) of the Internal Revenue Code. Contributions to the Foundation are deductible under section 170 of the Code. The Foundation is also qualified to receive tax-deductible bequests, devises, transfers, or gifts under sections 2055, 2106, and/or 2522 of the Code. Wire – Wires can also be made directly to our account. Please contact us for more information about wiring donations. AmazonSmile – This is a charitable giving program from Amazon.com. When you shop at smile.amazon.com, and select “Interpreter Foundation” as your charity, every time you make a purchase of every day items, 0.5% of your purchase price will be donated to The Interpreter Foundation, at no cost to you. This method is not tax-deductible. See more information about this program at this link. Volunteer – We can use the help of volunteers in many different areas of The Interpreter Foundation. If you would like to offer your help, please contact us and let us know where your interests are.